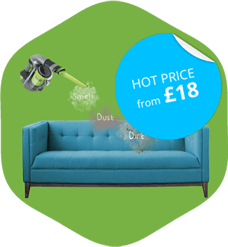 Handy Cleaners has been providing cleaning services for over a decade and has grown to become the number one cleaning company in London. With an outstanding team and state of the art equipment, we can make quick work of your house cleaning. So if you want to hire a reliable and trustworthy firm, you know who you need to call! We are a friendly, hard-working team of specialists, who can blitz your home with no problems at all. For more information or to book one of our services, call 020 3743 0505 now! Our customer services team can give you a free estimate over the phone with no obligation required. We are proud to offer the best cleaning services in the local area, with award-winning results each and every time. With an experienced team of dedicated cleaners, and the professional equipment necessary for a thorough cleaning, you can be sure you have found the team you need. So if you want to hire a team who know all the tricks of the trade, give us a call today. Our packages offer incredible value for money and can be hired any day of the week. By putting our customers first, we can offer a first class service that can help you out in your hour of need. So don’t stress about the stain on the floor or the mould between the tiles, when you can rely on us to help you out! 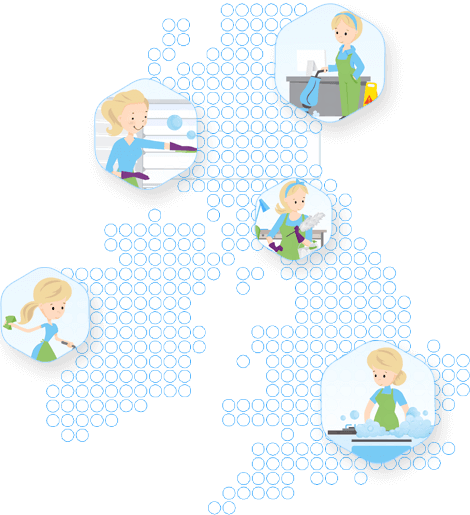 We offer an excellent range of packages, including general house cleaning and specialist services. Our expert team of cleaners have been professionally trained and can eliminate dirt, odours and stains for good! With modern equipment and exceptional products, we can clean your house ASAP. Our services are available seven days a week and can even be hired for any last minute needs. Our special deals are not to be missed and offer exceptional value and serious savings! 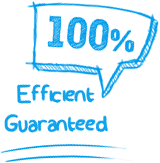 We are always striving to excel at what we do and to achieve the best possible results at the lowest possible cost. With a flexible approach and exceptional cleaning services, we can provide you with a five star service. With a long-standing list of happy customers, we are the number one company in London! So if you want to make sure that you hire a reputable firm, call Handy Cleaners on 020 3743 0505. We guarantee that you won’t find a better deal anywhere else! Looking after the environment is a key part of who we are and has a major impact on the way in which we operate. All of our cleaning products are chemical-free and non-hazardous, while all of our equipment is low-energy and efficient. Our eco-friendly policies are also evident in our planning and include low-mileage transport plans and car sharing schemes. Our office staff are also pleased to be doing their bit, with a paperless environment and low-energy usage. So if you want to do your bit for the local environment, make sure you team up with a cleaning company that really cares.